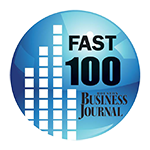 Houston, TX, September 13, 2016 --(PR.com)-- EARTH FIRST Landscapes is proud to announce ranking #20 on Houston Business Journal’s 2016 Fast 100 list, which recognizes the area’s fastest-growing private companies based on revenue growth. This is the second consecutive year they have earned a spot on the prestigious list. The Fast 100 Awards recognize the 100 fastest-growing private companies in the Houston area, ranked by a two-year growth basis. All of the companies on the list are headquartered in the Houston metropolitan area and have been doing business for a minimum of five years. EARTH FIRST Landscaping offers a comprehensive suite of true-quality products and services, along with expert maintenance and world-class customer service. 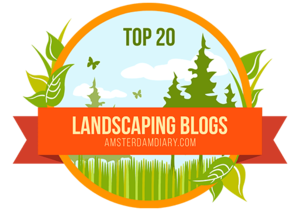 We are dedicated to exceed expectations by providing intelligently designed, beautifully installed and worry-free landscapes for you! Based in Katy Texas, EARTH FIRST’s services range from large scale landscape construction - such as commercial building parks, sports fields and neighborhood entrances - to routine landscape maintenance. The Perfect Time to Plant Trees & Shrubs: Fall!